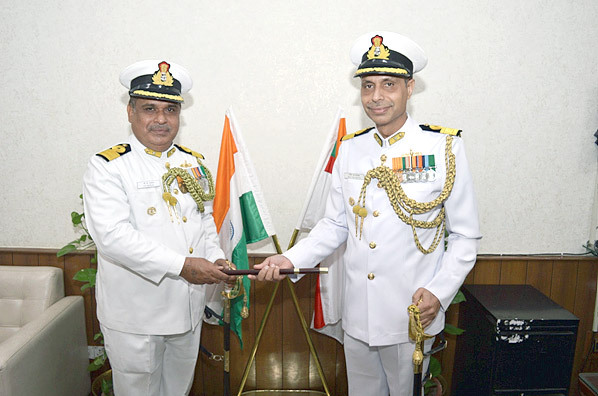 Commodore Ravi Malhotra, VSM took over command of INS India (Base Depot Ship) and Station Commander (Navy) Delhi from Commodore BK Munjal, VSM in a formal ceremony conducted at INS India, New Delhi this morning. A specialist in Anti Submarine Warfare, Commodore Ravi Malhotra, VSM is a graduate of the prestigious Defence Services Staff College and the Naval War College, Goa. He has held Command at Sea on three occasions and has served in several staff appointments at Naval Headquarters. A pulling out ceremony was held to bid farewell to the outgoing Commanding Officer Commodore BK Munjal, VSM.